KIEV, December 9. /TASS/. 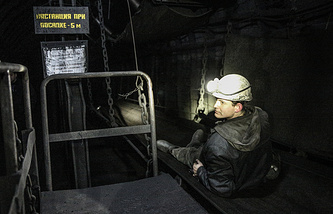 Ukraine’s coal output in November 2014 nearly halved on November 2013, dropping from 7.3 million tons to 4.1 million tons, Ukrainian media said on Tuesday, citing the country’s ministry of energy and coal industry. Since the beginning of the year, coal output was 61.5 million tons. Ukraine is running short of power plant coal and is currently secretly negotiating possible purchasing of coal in territories not controlled by the Kiev authorities, Alexander Kikhtenko, the chairman of the Donetsk region state administration, said, adding that coal was even smuggled. Ukraine’s national energy company Ukrenergo imposed the regime of rolling blackouts from December 1. The company explained this move by repairs at energy units and coal shortages. On December 7, the Ukrainian government allowed to import electricity from Russia to avoid rolling blackouts. About 50,000 tons of Russian coal were sent to heat stations in Ukraine. The leaders of the self-proclaimed Donetsk and Luhansk People’s Republics (DPR and LPR, respectively) called on Russia not to sell to Ukraine coal of the types that were produced in their regions. The Ukrainian government is looking at buying coal from Vietnam and Australia. The United States-produced coal was not even considered due to its high price. In August 2014, the Ukrainian government concluded a contract to buy one million tonnes of coal from South Africa at a price of $86 per ton. However South African coal could not be used at Ukrainian power plants. 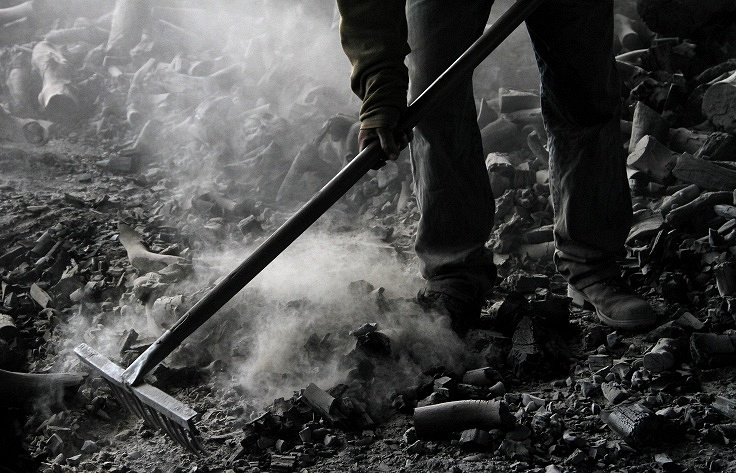 In November Steel Mont Trading Ltd. cancelled its contract on coal supplies to Ukraine.